In this post I will show jQuery Price range Slider Plugin Examples which will help us to select price range for different products. We can use Price range selection slider jQuery plugins to select any of products or anything within the range of selection. In previous article I explained 6+ jQuery Snow fall effect plugins, 11+ Best jQuery Countdown timer plugins, 12+ Best jQuery Drag and Drop Plugins, 11+ best jQuery Scroll to top plugins, 9+ JQuery AutoComplete plugins, 6+ JQuery Password Strength Plugins and many articles relating to jQuery Plugins, JQuery, Ajax, asp.net, SQL Server etc. 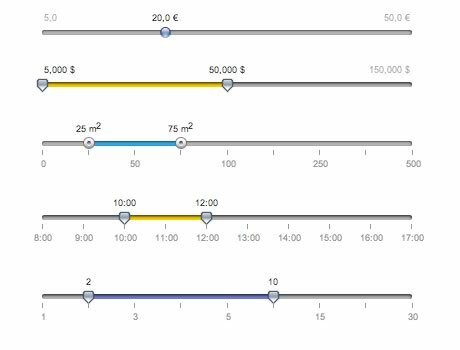 Now I will explain different type jQuery Price range Slider Plugin tutorials with examples. 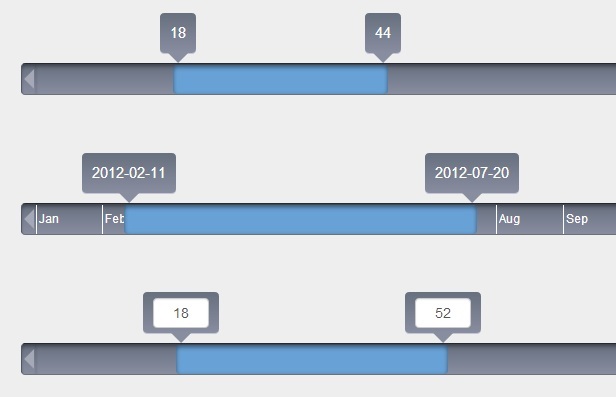 jQuery UI range slider plugin will help us to select range of values with two drag handles. The space between the handles is filled with a different background color to indicate those values are selected. Simple Slider is a jQuery plugin which allows your users to select a value from a numerical range by simply dragging a slider. is there any webservice available for that. if not what should i do get that rates daily basis..